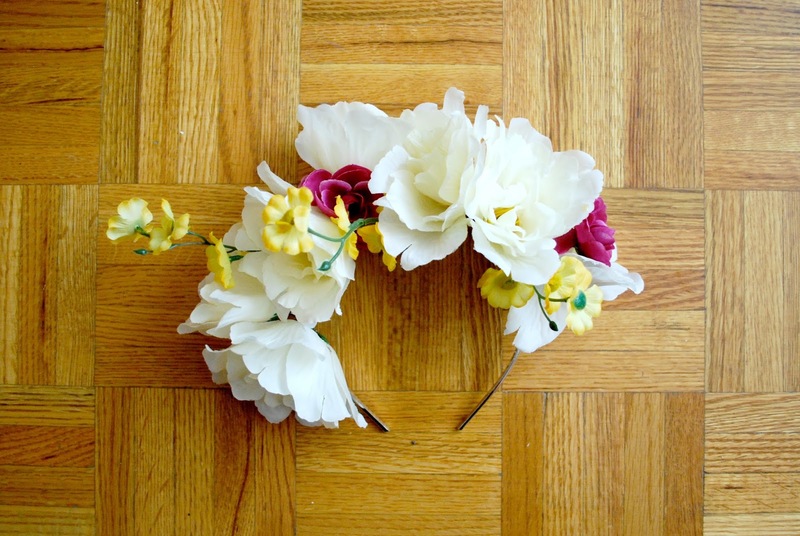 After browsing hundreds.. okay not that many but there are a huge number of flower crowns on Pinterest I was inspired to make my own for the next outfit post. It was incredibly easy and so customizable to your taste. I chose to go with white, purple, and a touch of yellow. All my supplies were purchased at Dollarama and the crown cost about $5-6 to make.